It’s Thursday evening here, and we proceed with preparations to launch very early next Wed morning. Technically that will be 8 June here, but still the 7th where most of you live. Yes – I’m getting excited! 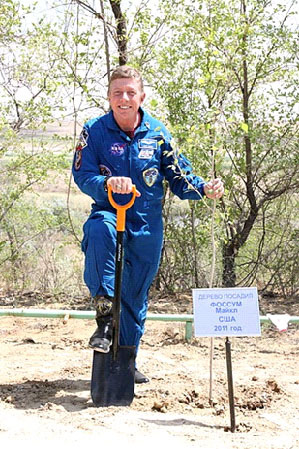 Yesterday we planted our own trees on “Cosmonaut Lane.” It’s a really cool tradition where every participant in the Russian human spaceflight program plants a tree. Walking around this area is a walk through history. Now I have my own little twig. Last night we got together and watched the movie ‘Tron: Legacy’ in Russian language with English subtitles. We picked that movie for obvious reasons once you see our crew poster (below). It was fun listening closely to find disconnects between the spoken and written words. Today was a day filled with mostly personal preparation. 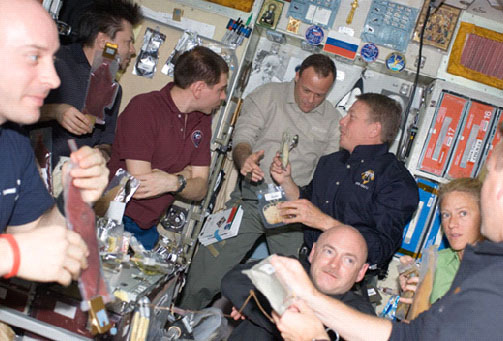 I have turned in my crew notebook and personal items to be stowed in our Soyuz spacecraft tomorrow morning early. Now I’m finishing up annotations of notes in my flight procedure books. Next will be working on email lists and other administrative stuff that will probably consume all free time. We’ve taken a number of runs along the river to the south of here, but today was a workout in the gym. 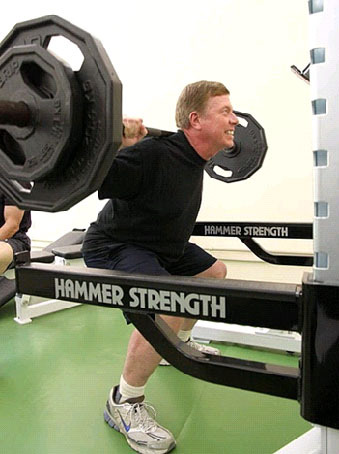 I’m trying to push the weights to get my muscles and bones as strong as possible before living in zero-G for almost 6 months, but will continue working throughout the mission using the equipment we have on-board. Tomorrow will be busy with our second (and last) fit checks in our Soyuz vehicle. It’s pretty amazing to finally be working on a ship with our name on it. 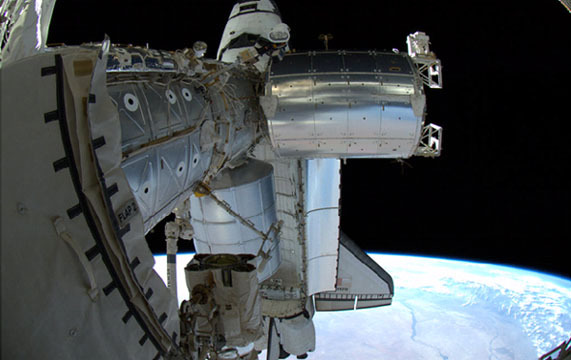 It’s not just any old spacecraft – it’s OUR spacecraft! Hope to get some more pictures and maybe video tomorrow. Some of the best news is my family has all arrived in Moscow in the last two days and they will be heading out here on Saturday. I can’t wait to see them!!! In the meantime, NASA just posted these videos which we have been working on in our free time out here. You can keep an eye on the NASA YouTube channel for more to come! 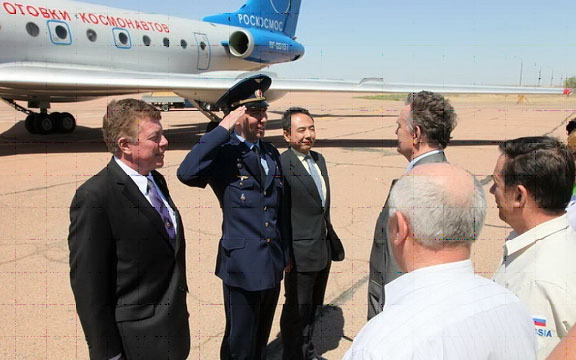 From Baikonur Cosmodrome, Kazakhstan, where I’m definitely Living the dream! I want to start documenting this amazing adventure and might as well start here since I have been too busy to do so for the last two and a half years. We have been on the GCTC airplane from Star City, Russia, to Baikonur Cosmodrome, Kazakhstan, for about 2 hours, and a member of the airplane crew just draped a blanket over one of my crewmates while he is napping. I can understand – it has been an amazing, exhausting adventure to get to this place. We can still hear the echoes of the celebrations on April 12th as Russia and the world celebrated the 50th anniversary of Yuri Gagarin’s first flight into space. 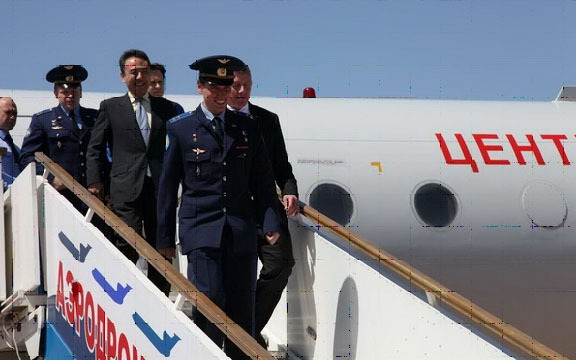 Who could have imagined back then the launch to begin Russia’s second half century of human spaceflight would include an American Air Force Colonel (USAFR-Ret) and a Japanese doctor/astronaut? 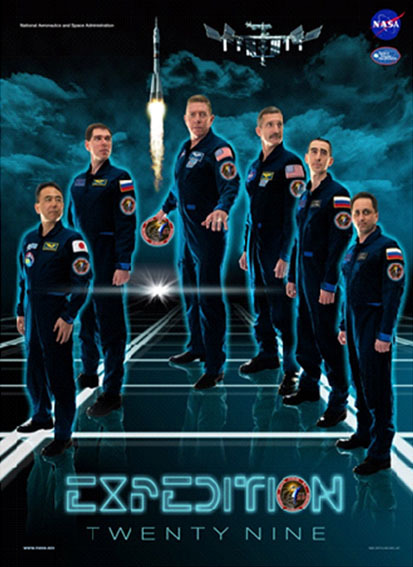 The history of our three countries includes periods of intense conflict and horrific strife; yet here we are – American, Russian, and Japanese crewmates – fused together as a crew and ready to persevere through the final steps to the launch pad in the next two weeks. 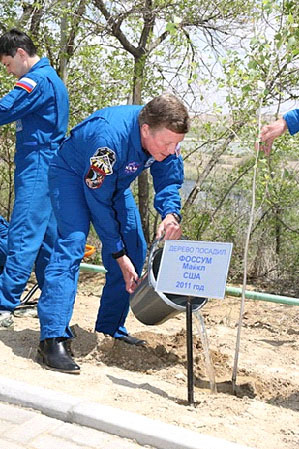 Six months ago, I served as a backup crewmember for the launch of the Expedition 26/27 crew, with Russian Cosmonaut/ Dmitry Kondatrayev, Italian Astronaut/Paolo Nespoli, and American Astronaut/Cady Coleman. Specifically, I was the backup for Cady. The intent of this is to be ready to step into their place, if circumstances were to require. We traveled and trained together around the globe in Russia, Japan, and Germany. 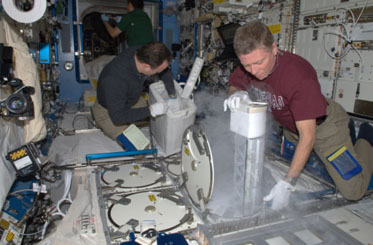 Our backup crew went through all of the same steps of preparation. The two most significant were the successful completion of our final qualification examinations (tests) in Star City, Russia, and the final preparations for launch in Baikonur. 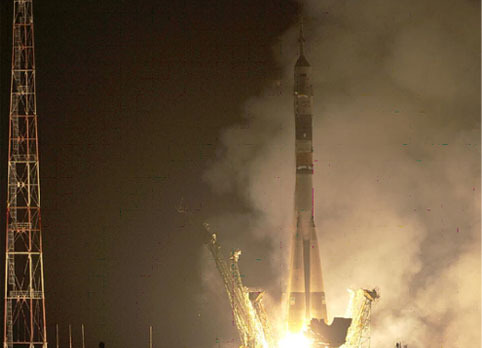 <?xml:namespace prefix = o />I have observed many launches and have been on the pointy-end of two, but I was not prepared for the emotions of the Soyuz launch in December. 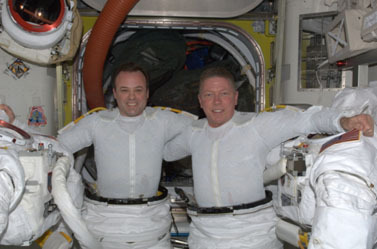 Although we went through all of the training steps with them, on launch day, only one crew donned the Sokol spacesuits. We accompanied Dmitry, Paolo, and Cady all the way to the foot of the fueled rocket on the pad. 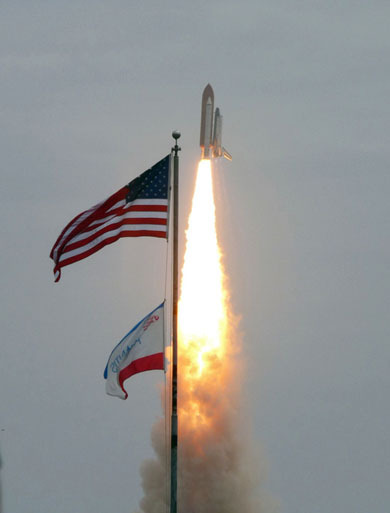 While rockets are normally inert objects, when they are fueled on the pad, they take on the visage of living, fearsome beasts – belching fumes and straining as if anxious to do their job of hurling us off the planet. We stood there in the middle of a dreadfully cold December night watching our Оснобной (Prime) crew climb into the elevator to go take their place on the rocket and in history. As we waved goodbye, it was strange to know we would not see them again in person for an entire year until they had completed their 6-month mission and we had subsequently completed ours. Six months have passed since that night. Yesterday we held our breath as we watched them depart from the International Space Station, reenter Earth’s atmosphere, and descend with a shocking jolt to the barren steppes of Kazakhstan. 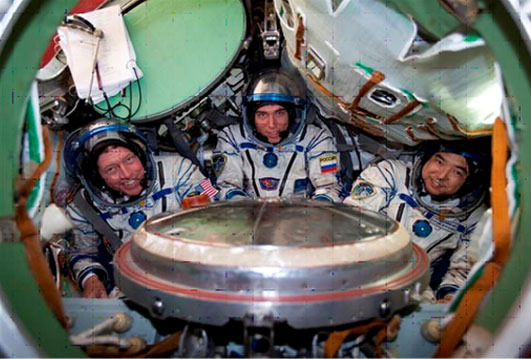 We have enjoyed watching them live and work on the station and rejoiced at seeing their smiling faces as they emerged from their trusty Soyuz capsule in the brilliant morning sun. Within hours, they were winging their way directly home and we hurriedly finished our packing. 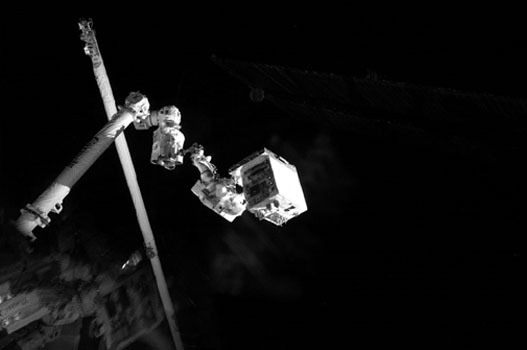 With our docking port on the ISS now open, it was time to go. 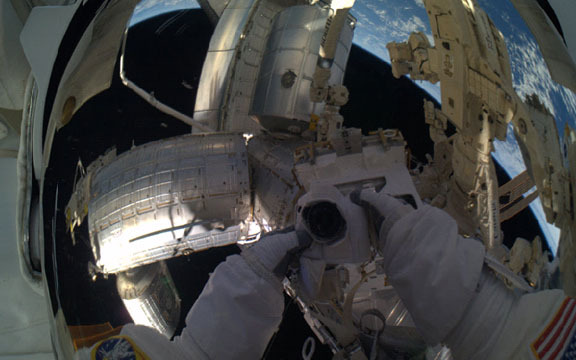 Expedition 28 had officially begun and it was time to join my former STS-124 crewmate, spacewalk partner and good buddy – Ron Garan – along with his Russian crewmates, Andrey Borisenko and Alexander Samokutyaev, on this international treasure we call the ISS. I am really happy that our son, John, was able to take a break from his study-abroad program in Moscow to join me for the last evening in Star City. With his help, we were able to finish packing up 2 years of study notes and personal items fairly quickly, so I took him on a bike ride through a bit of the surrounding forest. There was still some snow in dark places when I arrived a month ago, but Spring is now in full bloom and it is magnificent! John has long loved camping and hiking in the outdoors as a Boy Scout, so he enjoyed a few miles of trail riding as much as I did. For me, this was an important part of my personal preparation – one last time to get deep into the forest away from the sounds of technology to breathe deeply of the air which was rich with the fresh smell of moist earth and blossoming life. 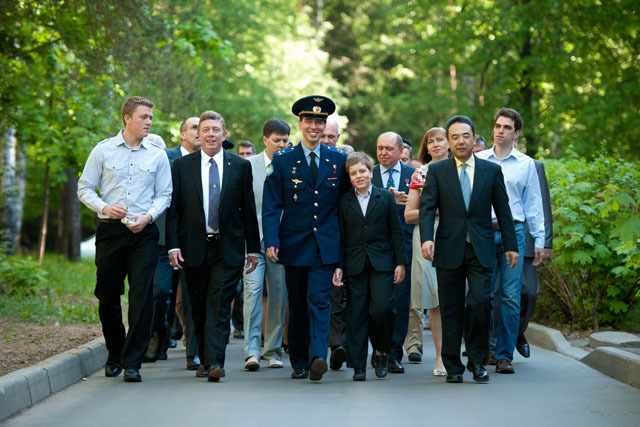 Later that evening we shared some social time with my astronaut buddies who continue to train in Star City. 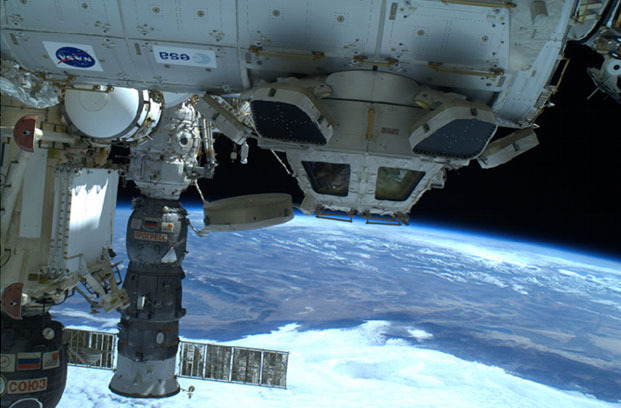 Some I will greet in a few months when they arrive at the ISS. Others are just beginning the long road of training. I especially enjoyed overlapping with my STS-124 crewmate, Karen Nyberg, who was literally starting her first week of training in Star City at the same time I was checking out. My advice was to enjoy the journey and she will be packing for the launch pad before she knows it. 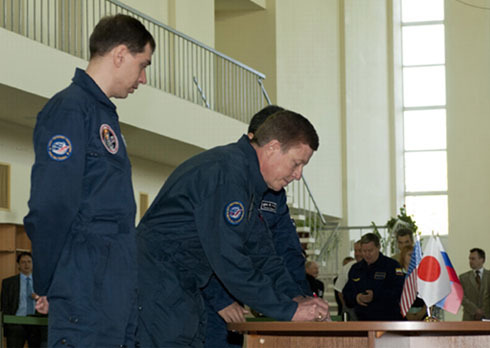 This morning we participated in one of the unique traditions associated with the Russia space program – a formal departure breakfast. There were a few American and other international astronauts, managers and support personnel, but most of the crowd was Russian. 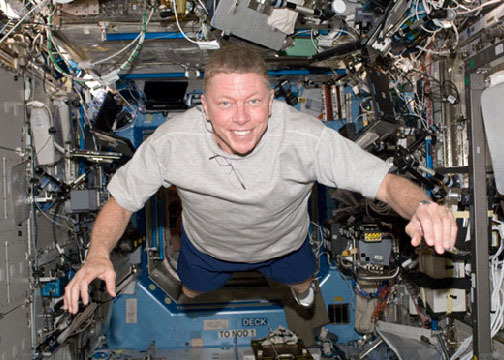 Many were the younger cosmonauts who are still active in the program (including Dmitry Kondatrayev who looked fantastic for having been back on the planet for about 26 hours!). 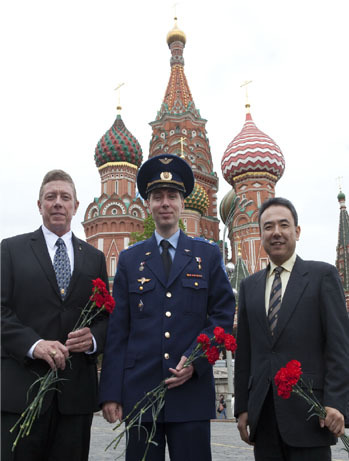 There were also a surprising number of the living legends of Russian spaceflight who make a point of attending every one of these ceremonial sendoffs. The number of medals signifying honors as a “Hero of the Russian Federation” or “Hero of the Soviet Union” is staggering. Many dignitaries gave short speeches to wish us success, and then we all said a few words of thanks to the excellent training team and our families who put up with so much separation as we follow our dream around the globe and into space. Son, John, who could not comprehend why Dad was insistent he needed to come to this breakfast, finally understood. After a short walk along a tree-lined path in the training territory of Star City, we hugged our families and friends, and were off to the nearby airfield where the prime and backup crews boarded separate airplanes. From now until launch, we will be in quarantine conditions and the prime & backup crews will never travel together in any vehicle. As I look out the window of the airplane, the forests of Russia have turned into the brown, unbroken steppes of Kazakhstan. 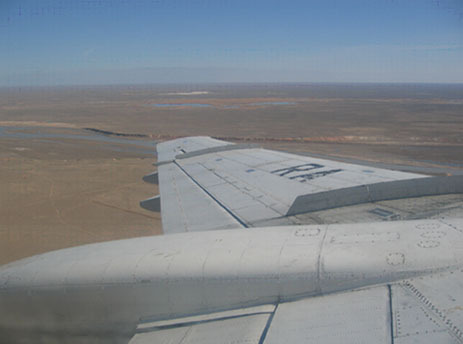 We have started our descent into Baikonur Cosmodrome as we fly over the Aral Sea and will land in a few minutes to begin the final preparations for launch. I know without a shadow of doubt I am fortunate to be able to follow my calling in this the most outrageous of humankind’s adventures. Thanks for coming along on the adventure!